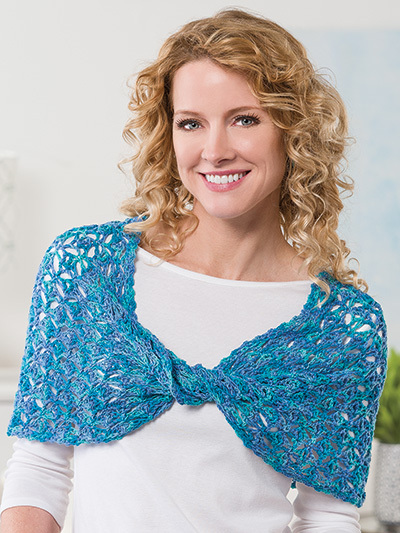 Are you looking forward to fun in the summer sun? 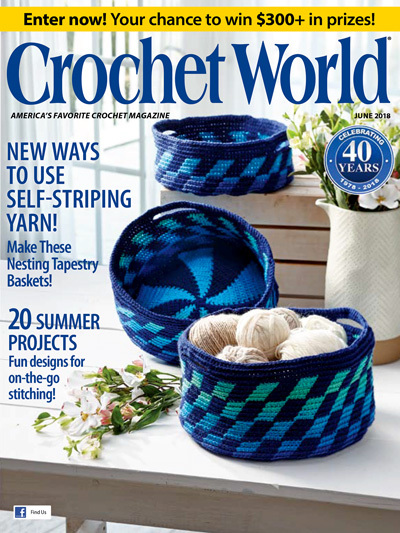 Then you'll love this summer issue of Crochet World, packed full of over 20 fantastic bright and colorful projects absolutely perfect for summertime crocheting! 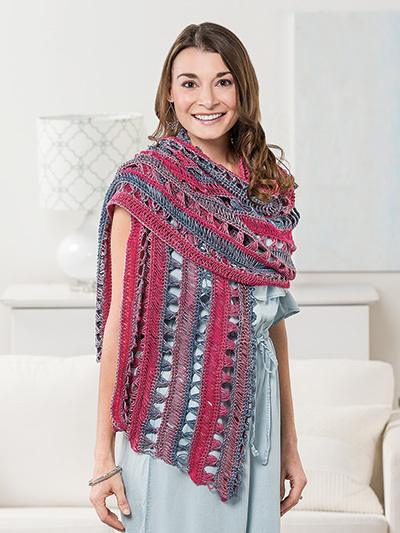 Just in time for warm weather, our Lighten Up! 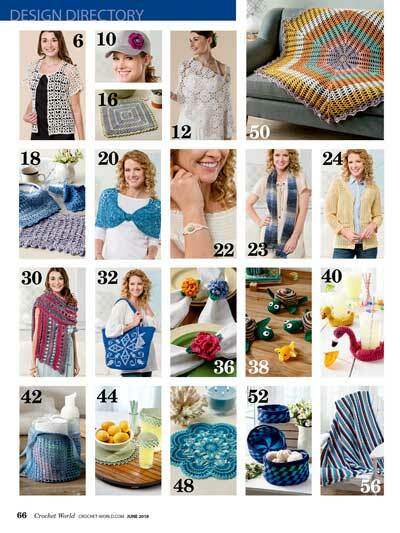 chapter features a variety of fun summery fashion accessories -- including 2 pretty wraps in luscious color palettes, a scarf with tiny seashells for a flirty trim, a beautiful lacy cardigan perfect for cool evenings and a stunning shawl ideal for a June bride! 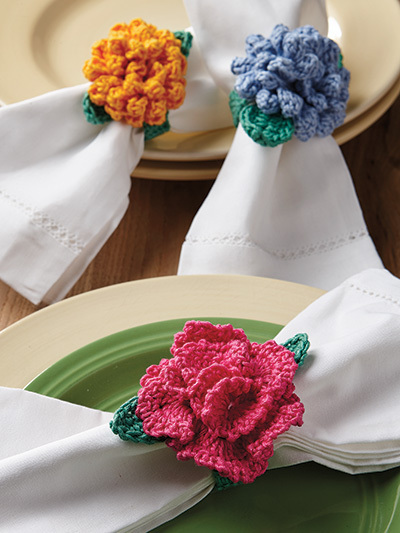 Our Summertime Crochet chapter is chock-full of projects perfect for outdoor entertaining. 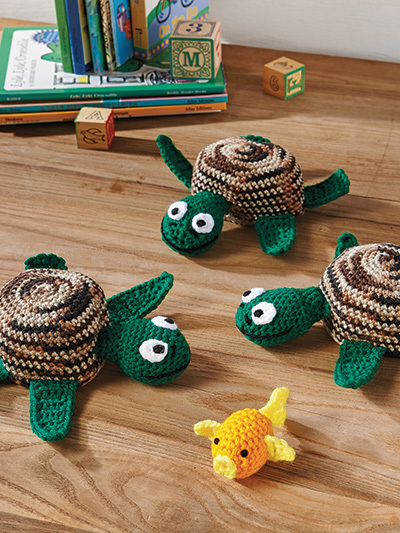 Make a set of our Totally Tubular Coasters shaped like mini flamingo and duckie pool floats, keep insects away at your next picnic with easy-to-make Tweed Dish Covers and stitch our fun Turtle Shell Game certain to get everyone playing along! 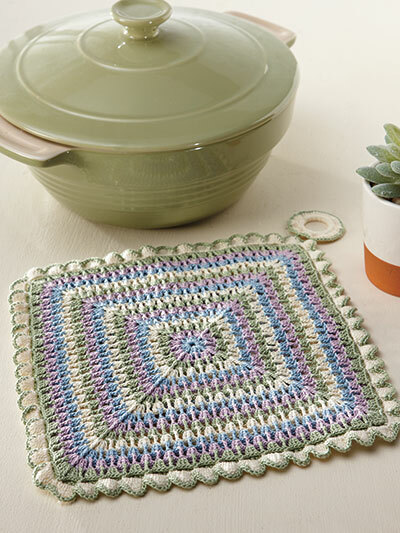 Give your home a breath of fresh air with crocheted summer decorating projects such as two beautiful afghans sure to bring the sunshine it, a stunning thread doily inspired by the sea and a set of beautiful nesting baskets! 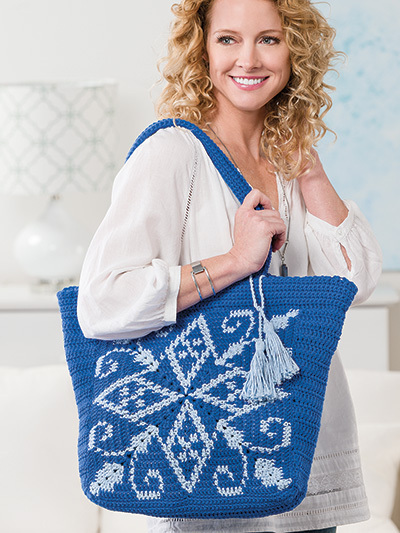 Plus, we're still celebrating our 40th anniversary, so don't forget to enter for your chance to win the fabulous "Crocheter's Dream Prize Package"! 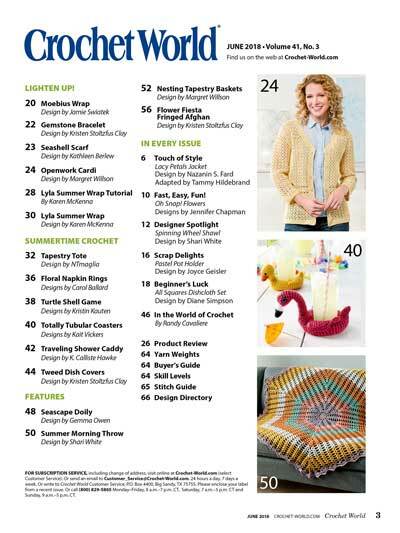 Download (or subscribe) today!